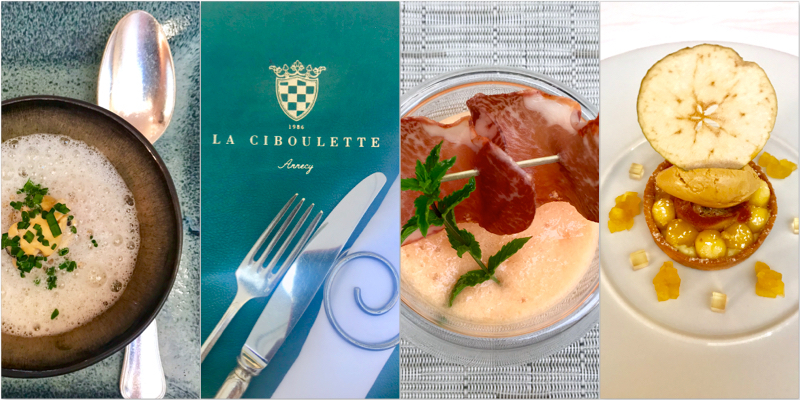 So now right up there on my list of favourite restaurants in Annecy, is La Ciboulette. I enjoyed lunch in the summer on the terrace and on my latest shopping day out in Annecy I had lunch inside the restaurant. Having had such a great first lunch, I was hoping the return would be as good…IT WAS, in fact it was absolutely delicious. Both times I ate from the Inspiration du Marche menu which I think is superb value at €39,00. This is a three-course menu but actually, if you take a coffee after lunch it’s six courses! Yes SIX! Canapés with the aperitif, an amuse bouche, followed by the three-course lunch and with coffee the gorgeous gourmandises. I challenge you to eat it all! This restaurant is tucked away in a quiet courtyard, Cour du Près Carré off the Rue Vaugelas in Annecy. It has been there since 1986 and was awarded a Michelin star in 2007. The elegant interior dining area is divided into two rooms. It has a warm and cosy welcome, with a mixture of stone and wood with classic artwork by local artists adorning the walls. The elegance comes in part from the classic silver accompaniments on the white tablecloth covered tables. I love the silver salt and pepper quails. For me this restaurant epitomises classic France. However, the cuisine although in some ways traditional is a modern take on the French classics with a twist. 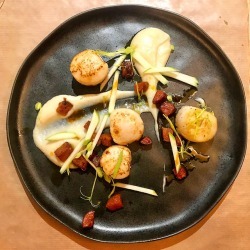 The service at La Ciboulette, is attentive yet discreet. Although quite a formal setting, the atmosphere remains warm and friendly. 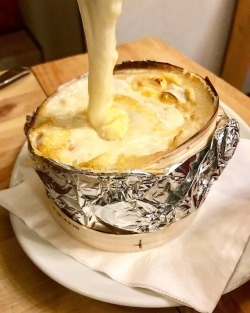 La Ciboulette is in The Michelin Guide this year with an assiette gourmand however, they lost their Michelin Star in 2018 – I have no idea why. It is very hard to find fault with this restaurant – perhaps the inspector was having a bad day. lunchtimes only from Tuesday – Friday. The end timings are last arriving times. I booked lunch for 13:00 but was told to be no later! I would LOVE to try this – sounds absolutely amazing and your photographs are just stunning! Thank you! I must take you there!